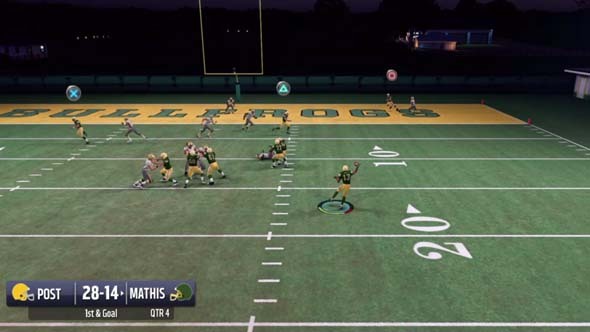 What makes a good Madden cover anyway? 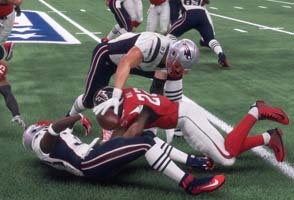 The first bit of news regarding this year's Madden NFL football game has been released by EA. As is typical, the first bit of news is the cover athlete. This year, none other than Tom Brady will grace the cover of the game. The cover shown seems to be labeled as a "G.O.A.T. Edition". "G.O.A.T." -- if you're unaware -- means "Greatest Of All Time". 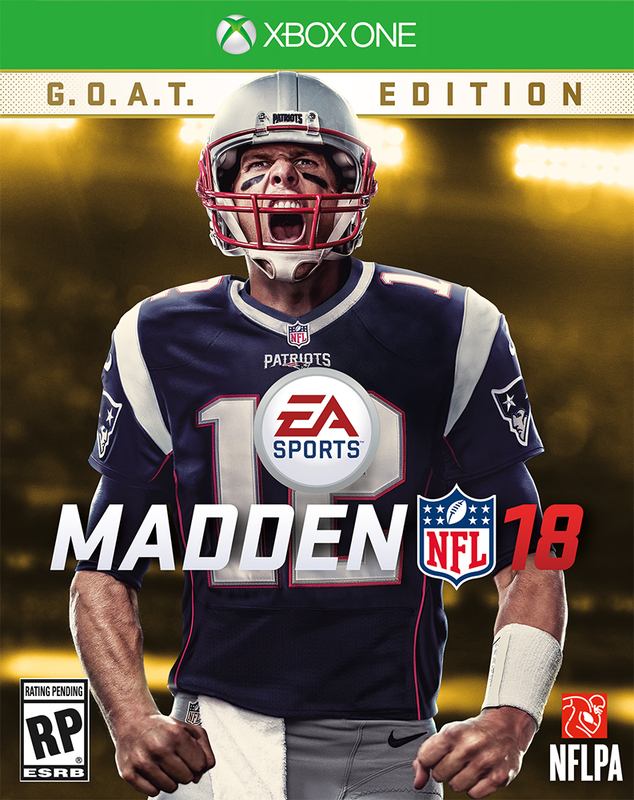 I'm not entirely sure if this label is supposed to refer specifically to the cover athlete, or if it's supposed to represent a belief within EA that Madden 18 will be the greatest Madden game of all time. 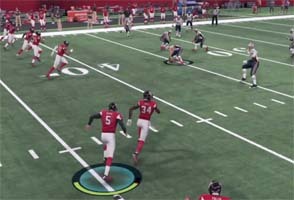 NFL.com writer Dan Hanzus followed-up EA's cover announcement by writing a "Power Ranking" of all Madden covers. I'm not quite sure what his criteria for judging these covers is, as the justifications written below each choice seem more like fluff to me. As far as I can tell, he's basically just ranking his favorite players that have been on Madden covers, rather than the covers themselves. This lead me to contemplate my own standards for a good Madden cover. Personally, I don't like the use of an individual cover athlete for a sports video game. I do agree with Hanzus that the covers featuring Madden himself tend to be pretty bland, but I don't dismiss them off-hand. Personally, my standard for a good cover (for any game, let alone a sports game) is that the cover be representative of the game itself. This applies to Madden games as well. A game cover should effectively be an advertisement for what's in the game. And in the case of an annually-released title (like sports games, Call of Duty, Rock Band in its time, etc. ), the cover should advertise what's new in this year's game. For me, the best Madden covers are the ones that showcase new features of the game. 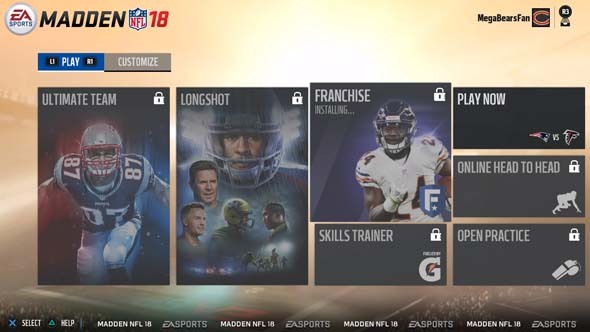 So when EA has contests and votes to decide the cover athlete, I roll my eyes. It's such an arbitrary process. as they both highlight scenes of football being played. Since I would prefer that the cover showcase new features of the game, rather than an arbitrarily-chosen individual athlete, I'd much prefer to see a scene on the cover, rather than an individual player. For this reason, I actually like some of the old covers featuring John Madden. The Madden '95 and '96 covers stand out to me as particularly good game covers for this reason. 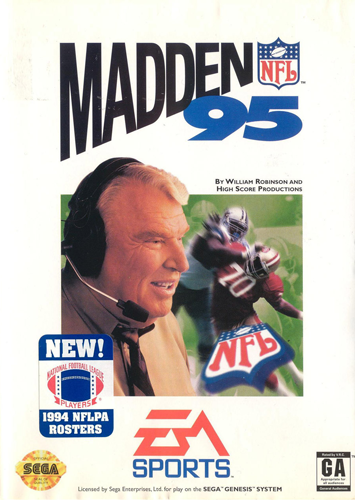 The '95 cover, in particular works really well, as the imagery invokes the idea of Madden himself watching the action unfold and providing his trademark commentary for it. I'd like to see EA move towards using scenes like this on their covers, instead of just single athletes. Ideally, such a scene should be representative of some new feature or mechanic in the game. 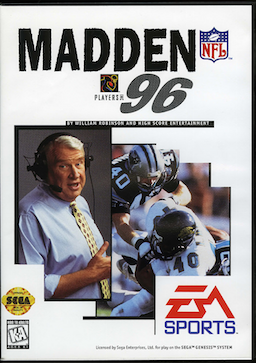 The '96 cover is a great example, as it shows Carolina Panther and Jacksonville Jaguar players, both of which were new expansion teams being added to the NFL (and to Madden) that year. The cover is, effectively, telling any potential buyer what is new in the game, without you even having to turn the box over and read the marketing spiel on the back.